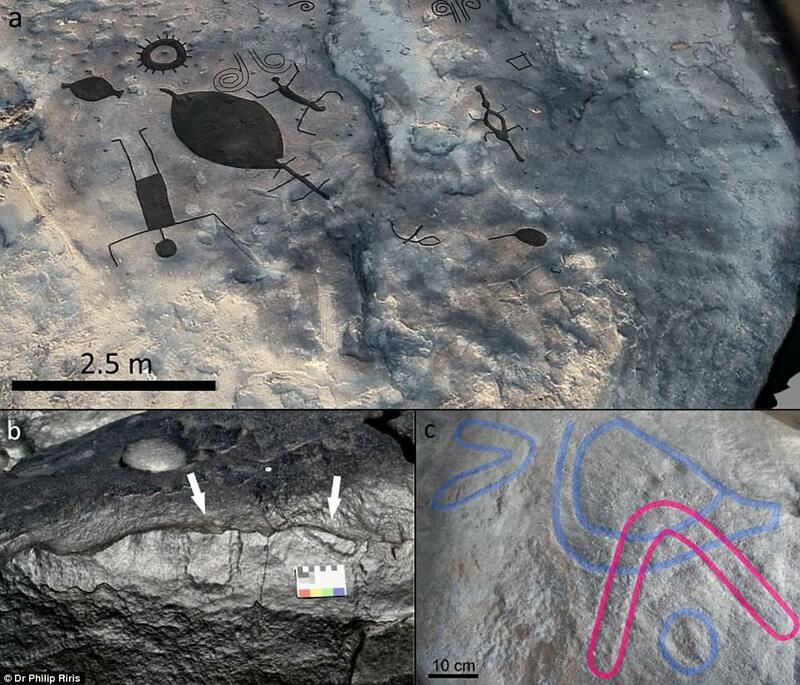 Home News 2,000-year-old rock art of mythical beasts and ancient rituals in Venezuela is revealed in unprecedented detail. 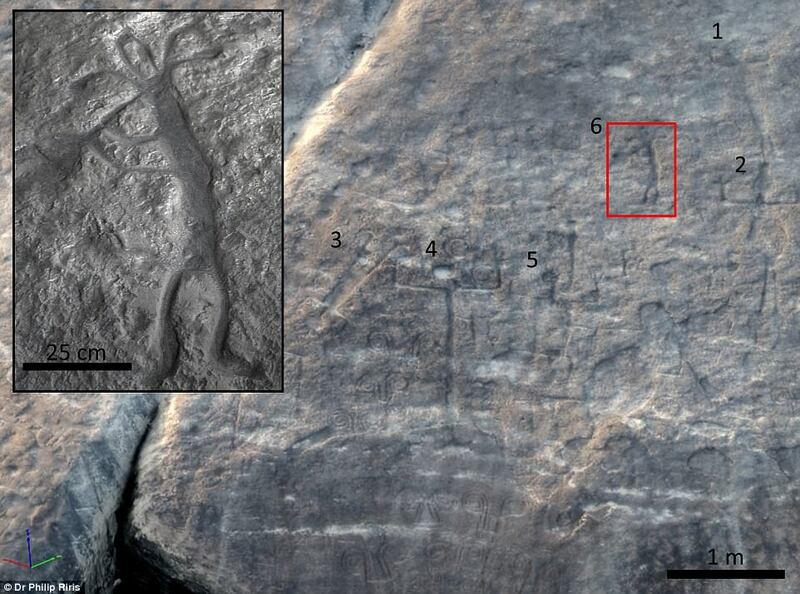 2,000-year-old rock art of mythical beasts and ancient rituals in Venezuela is revealed in unprecedented detail. 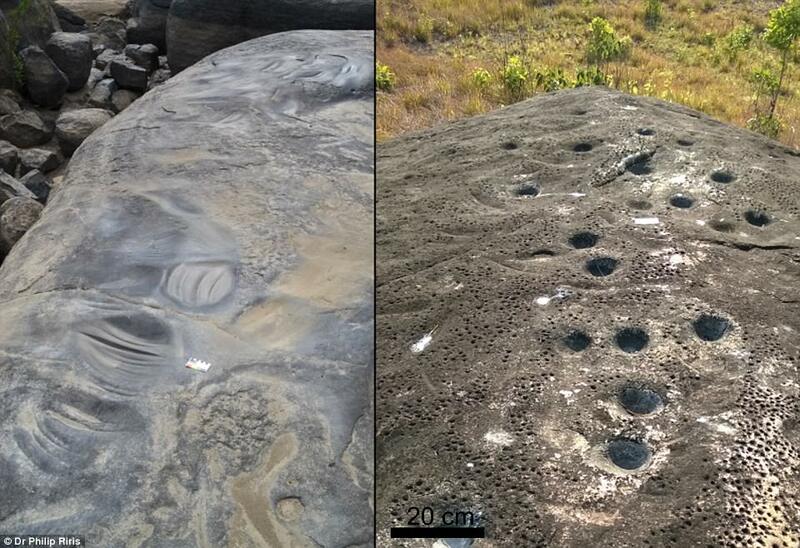 They're thought to be some of the largest rock engravings in the world, and now scientists have mapped stunning carvings in Western Venezuela for the first time. The engravings, known as petroglyphs, are around 2,000 years old and include depictions of animals, humans and cultural rituals. 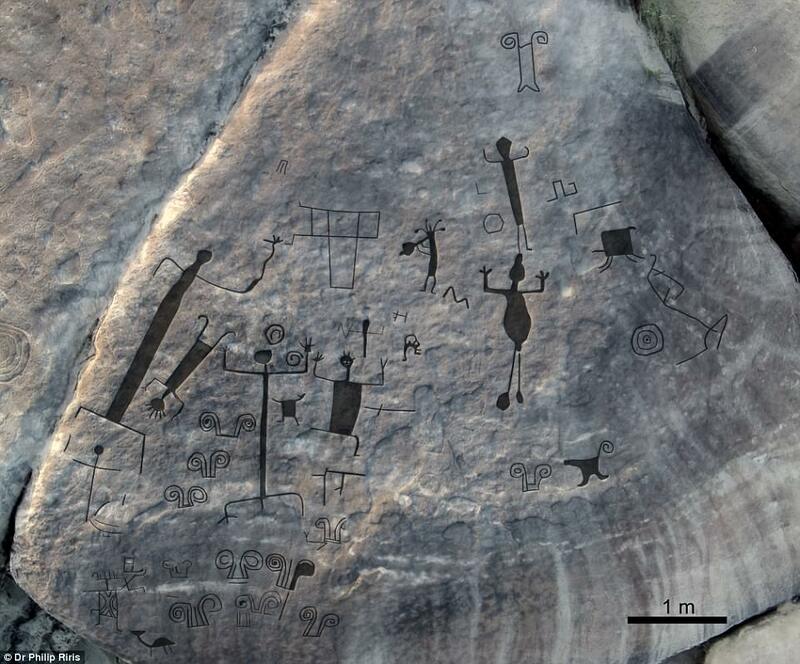 Researchers hope that mapping the petroglyphs will shed new light into their archaeological and ethnographic context. 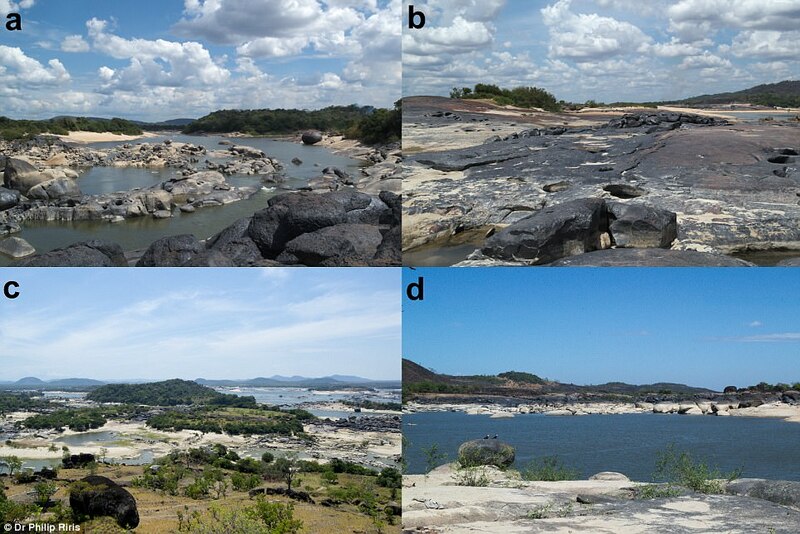 Researchers from University College London have mapped the petroglyphs in the Atures Rapids area of Amazonas state in Venezuela. Jesuit priests described the area as home to the native Adoles people and the rapids were a key meeting point on trading route. Eight groups of engraved rock art were recorded on five islands within the Rapids. The largest panel is 304 square metres, and contains at least 93 individual engravings, the largest of which measure several metres across. Another engraving of a horned snake measures more than 30 metres in length. The team used drones to photograph the engravings, some of which are in highly inaccessible areas. Dr Philip Riris, lead author of the study, said: 'The Rapids are an ethnic, linguistic and cultural convergence zone. 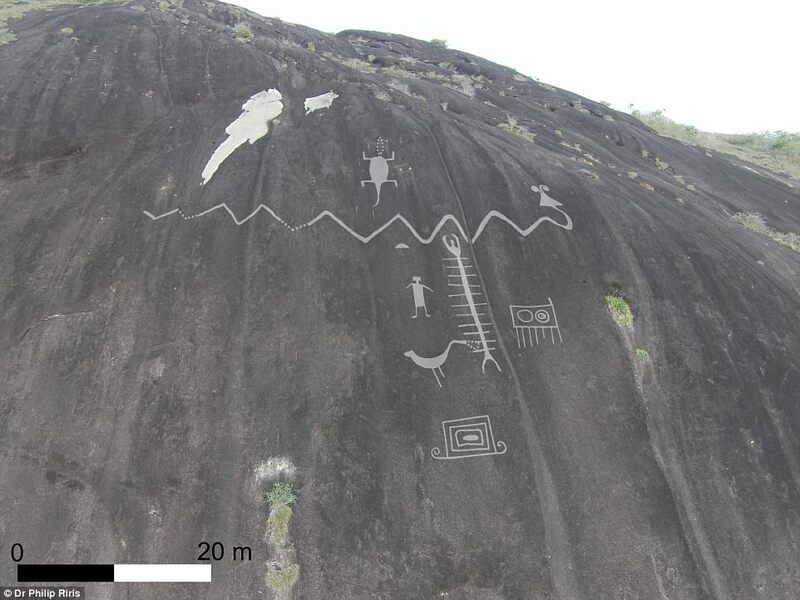 'The motifs documented here display similarities to several other rock art sites in the locality, as well as in Brazil, Colombia, and much further afield. 'This is one of the first in-depth studies to show the extent and depth of cultural connections to other areas of northern South America in pre-Columbian and Colonial times. In one panel surveyed, a motif of a flautist surrounded by other human figures probably depicts part of an indigenous rite of renewal. Performances coincided with the seasonal emergence of the engravings from the river just before the onset of the wet season, when the islands are more accessible and the harvest would take place. 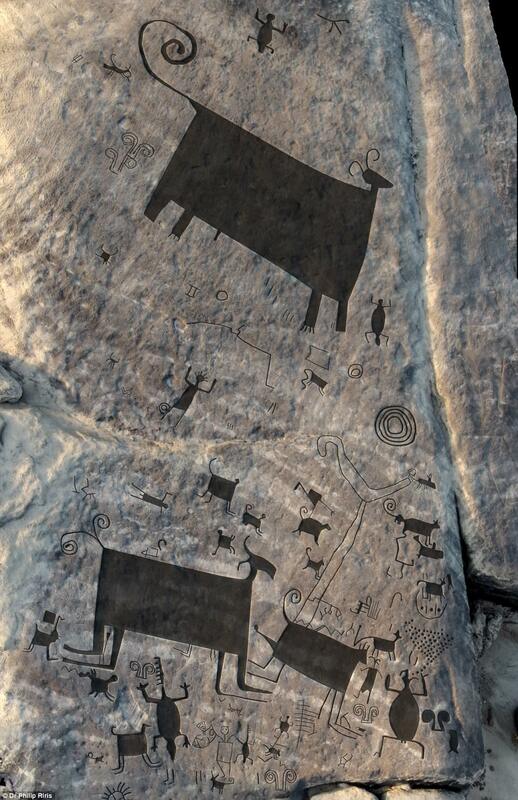 'While painted rock art is mainly associated with remote funerary sites, these engravings are embedded in the everyday – how people lived and travelled in the region, the importance of aquatic resources and the seasonal rhythmic rising and falling of the water. While the rock engravings have been studied before, this is the most detailed study of the carvings. Almost all of the engravings are affected by seasonally rising and falling water levels in the Orinoco. Depending on rain upstream, the relative height of the river also varies annually by up to several metres during the extremes of both seasons. In one panel surveyed, a motif of a flute player surrounded by other human figures probably depicts part of an indigenous rite of renewal. 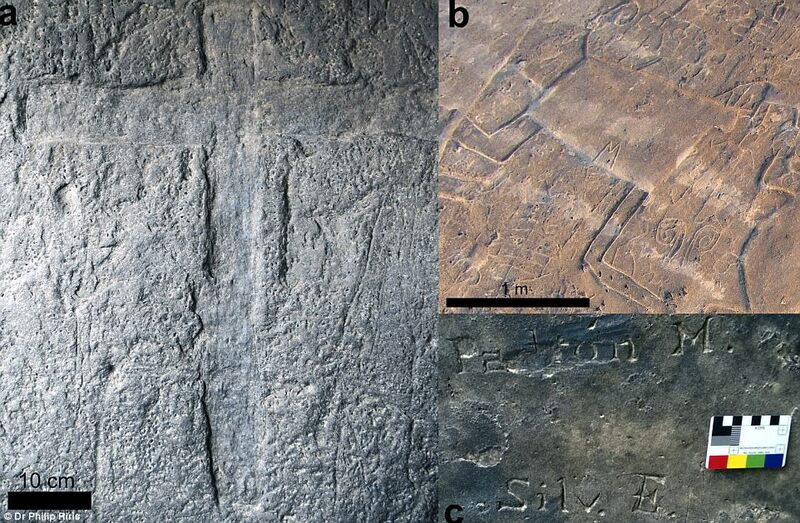 Performances coincided with the seasonal emergence of the engravings from the river just before the onset of the wet season, when the islands are more accessible and the harvest would take place, according to the researchers. Dr José Oliver principal investigator, said: 'Our project focuses on the archaeology of Cotúa Island and its immediate vicinity of the Atures Rapids. 'Available archaeological evidence suggests that traders from diverse and distant regions interacted in this area over the course of two millennia before European colonisation. 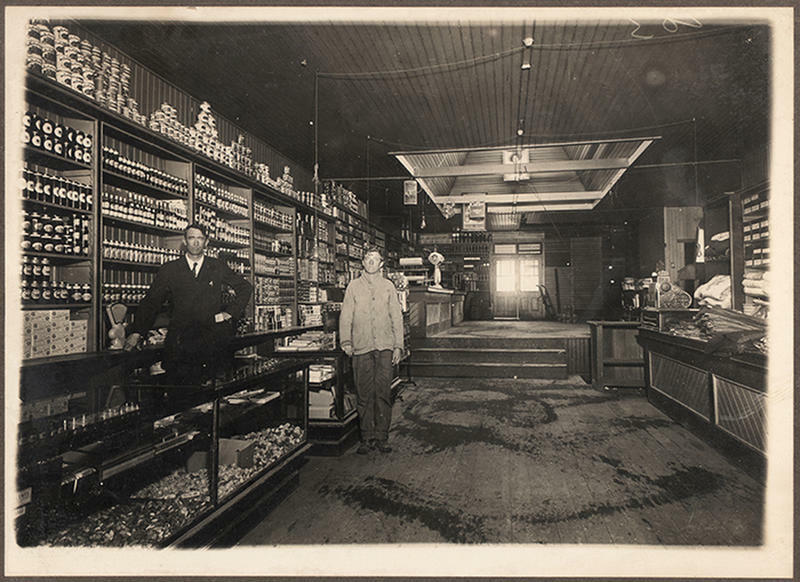 'The project's aim is to better understand these interactions. 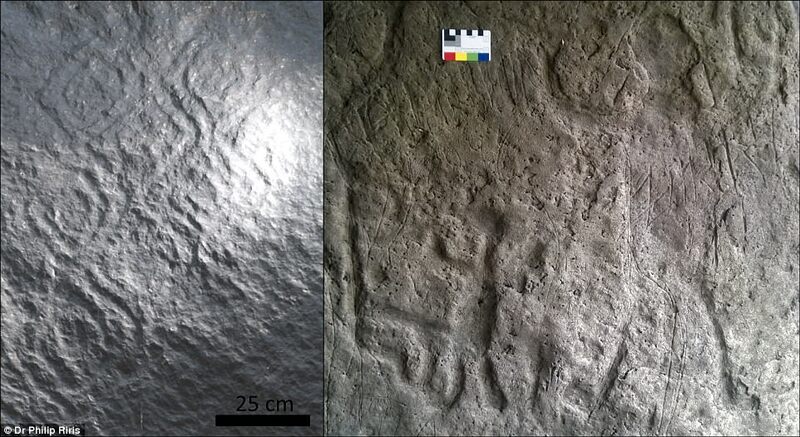 'Mapping the rock engravings represents a major step towards an enhanced understanding of the role of the Orinoco River in mediating the formation of pre-Conquest social networks throughout northern South America.